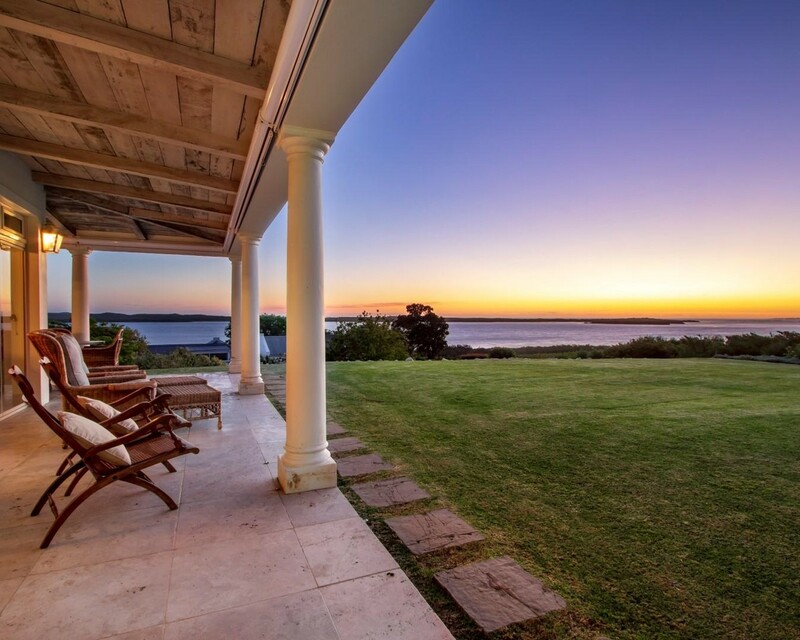 Sign up and receive Property Email Alerts of Houses for sale in Hermanus Lagoon, Hermanus. SOLE MANDATE - With the majestic Maanschynkop mountain as a backdrop and with acres of rolling lawns down to the lapping waters of the tidal Hermanus Lagoon, you will not find a better lifestyle property ... unquestionably amongst the finest properties on the beautiful Hermanus Lagoon. Some 7 km of boating and a short voyage to the estuary mouth and Grotto Beach. Stylishly designed home harmonising with its surrounds and natural environment. Exceptional detailing and finishes. Extensive water frontage with jetty landing, slipway, clubhouse and designer rim flow pool. Sign-up and receive Property Email Alerts of Houses for sale in Hermanus Lagoon, Hermanus.